I love black bean cakes and taking inspiration from that traditional latino recipe I have developed my own recipe called Charro Bean Cakes using as the main ingredient the new BUSH’S Cocina Latina Frijoles Charros inspired by traditional Hispanic recipes for us Latinas to serve and enjoy with our family. 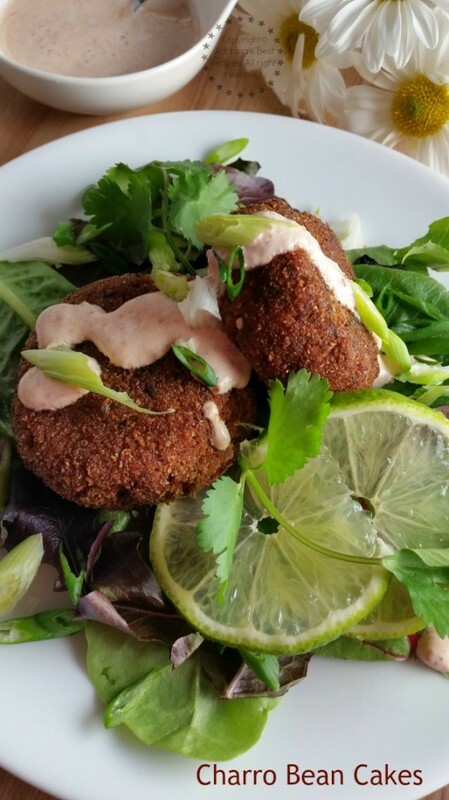 These charro bean cakes are very easy to make, freezer friendly and are great for holiday party entertainment or to be served as a main meal for lunch or dinner. Preparation time: 45 minutes. Yields 12 charro bean cakes. You will need a mixing bowl, a whisk, wax paper, baking sheet, a frying pan, paper towels, serving plates. 1.- Pour the content of one can of Bush’s Cocina Latina Frijoles Charros Machacados on a bowl and add the chorizo, the yogurt, 2 cups of the breadcrumbs, one egg, the cumin, oregano and the black pepper. 2.- Stir the charro bean cake mix until all ingredients get incorporated and you get the consistency of a dough. 3.- With a spoon form the bean cakes and then cover with the remaining breadcrumbs for making the breading. Place the charro bean cakes on a baking sheet covered with wax paper and freeze for 10 minutes. 4.- Put the frying pan in the stove and pour the peanut oil. When the peanut oil gets hot fry the bean cakes until getting a golden crust on both sides. 5.- Then place the fried charro bean cakes on a plate covered with paper towels to absorb the excess oil. 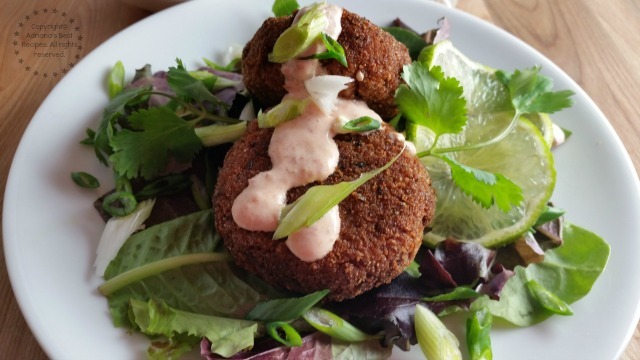 The serving suggestion for the charro bean cakes is to either eat them with a spring mix salad and drizzled with tangy chipotle dressing or eat as a snack or appetizer during a party. This charro bean cakes make a great party food, you can make days ahead, freeze and then fry the day of the party. The Bush’s Cocina Latina Frijoles Charros Machacados are traditional smashed pinto beans prepared according to a recipe inspired by regional flavors and family traditions, using ingredients like tomatoes, serrano peppers and bacon. 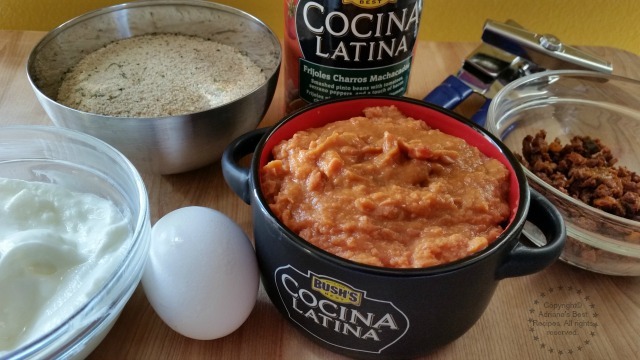 BUSH’S Cocina Latina® is inspired by traditional Hispanic recipes and the kitchen wisdom handed down from the real experts – moms, grandmas and aunts. I am impressed with the traditional flavors of BUSH’S Cocina Latina. They inspire me to be more creative in the kitchen and add a Latin taste to everyday meals. 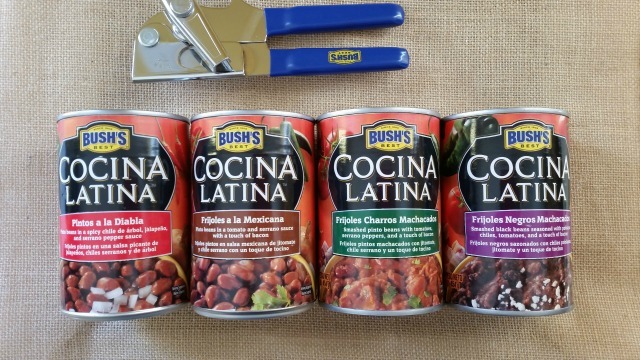 With the selection of four rich Hispanic flavors available for Bush’s Cocina Latina (with great-tasting ingredients like garlic, onion and cilantro), you can guarantee there will be a favorite for everyone in your family. Frijoles Bush’s invites you to visit FrijolesBush.com for authentic Bush’s Cocina Latina chef recipes, pairings and tips. 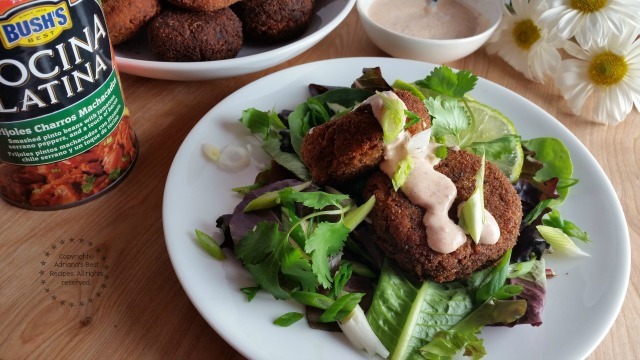 Charro bean cakes, easy to make, freezer friendly and great for parties! Let’s turn #ElFrijolazo on and cook my recipe for Charro Bean Cakes for your upcoming holiday parties! Me encanta el arroz con habichuelas o frijoles pero de esta forma si que sería un reto para mi. Los cakes se ven muy apetitoso especialmente con la salsa chipotle. Adriana, me encanta la receta, me parece muy versátil, ya que la puedo tener preparada y usarla en cualquier momento. Muchas gracias! que ricos pastelitos con frijolitos!. Esta para chuparse los dedos! Que rico! Thanks for sharing the recipe. Have a great weekend! Uyuyuy!! Esas tortitas se ven demasiado ricas. Me encantó la idea y ese toque de limón que le pusiste al plato. Esta receta me tiene loca por hacerla, que delicioso Adriana gracias ! Se ve muy rica Adriana! Hoy educación culinaria para mi: no conocía estos bean cakes. Me parece lo máximo para comer nuestros adorados frijoles de manera diferente! Como siempre una receta deliciosa! Muy buena idea para una comida rápida. Estoy segura que a mis hijos les encantarían, las voy a preparar. Maravillosos. Me encanta la combinación de ingredientes y el resultado. Que ricos los productos de Bush Cocina Latina.